McDonald's never fails us on their Happy Meal Set! 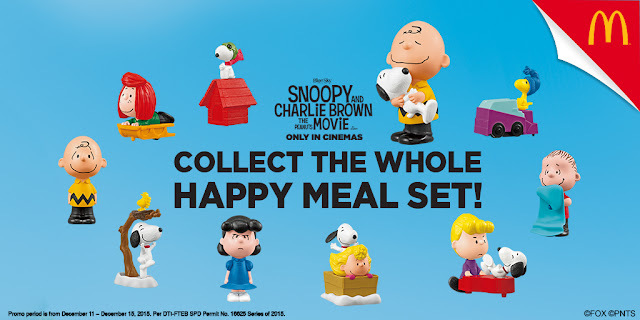 When I was a kid, I always look forward what would be the next month's happy meal toys available. Peanuts fans, kids and adults alike, can pre-order the complete set of Snoopy and Charlie Brown Happy Meal toys in all McDonald's stores nationwide starting December 11. Also, calling the AlDub Nation: don’t forget to grab a copy of McDonald's #AlDubKoTo 2016 calendar! AlDub fanatics can collect all three different designs: Pabebe Wave, Kiss, and Pinky Swear. This is so cute, need to have those lol. Hope it's same here in UAE.